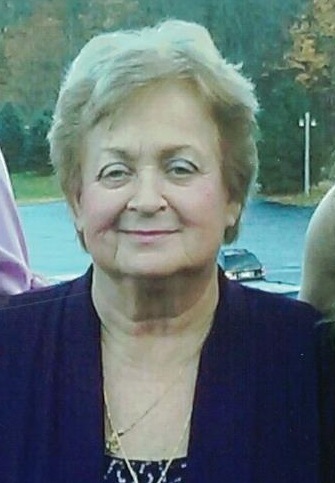 Diane Marie Kilgore, age 75 of Wolverine, passed away on Monday, November 5, 2018 at Woodward Hills Nursing Center. Diane was born to Basil and Dorothy Kilgore in Flint on April 14, 1943. After she received her Associates Degree as a Licensed Practical Nurse, Diane worked at Flint’s Osteopathic Hospital. Diane prided herself in her work in nursing and homecare, especially at Harbor Care in Petoskey. She also attended Trinity Lutheran Church in Gaylord. In her spare time, Diane enjoyed golfing, driving her golf cart around the lake, having a meal at Taco Bell, and dressing up for the holidays. In her later years, she became a member of the Red Hatter’s Club, and loved playing games with her grandchildren, sewing their Halloween costumes, and hanging out at the Senior Center. The family would like to thank all of Diane’s friends from Wolverine for their love, care, and support. Diane is survived by her daughters, Christina (Keith) Bowman and Shelley Miller; grandchildren, Kenton Miller, David Brelinski, Krystal Miller, and Joseph “J.R.” Miller; great-grandchildren, Landon Green and Brooks Brelinski; brother, Randy (Linda) Kilgore; her dog, Petie; and several nieces and nephews. A funeral service will take place at Nelson Funeral Home on Friday, November 9, 2018, at 1 p.m. Visitation will begin at the funeral home at 11 a.m. Donations in Diane’s memory may be made to the Otsego County Animal Shelter. Arrangements were entrusted to Nelson Funeral Home and Cremation Service, P.O. Bo 1548, Gaylord, MI 49734. Friends and family may leave condolences online at nelsonsfuneralhome.com. I enjoyed knowing your mother from her membership at Trinity. My deepest sympathy to you. God be with you, and may He comfort you in your loss. Diane always made me laugh. It was great to remember Diane from my childhood. We lived across the street and down a couple of houses. She was the same age as Kay, my sister. I also ran into Randy. He married a girl I knew from church.